VC Scholar and San Francisco-based model/actor, Carly Movizo, is currenlty studying Psychology. 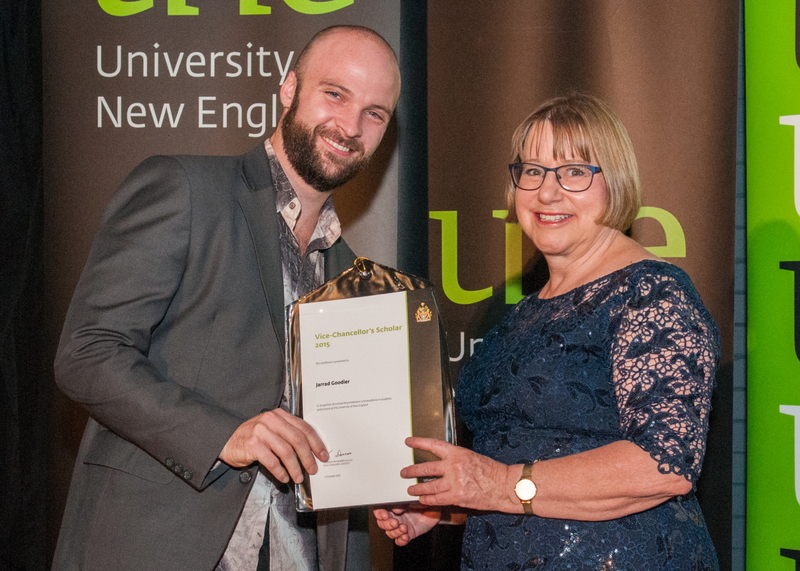 The University of New England celebrated the outstanding academic achievement of its undergraduate students at the annual Vice-Chancellor’s Scholars reception on Saturday 28 November. This year, 249 students achieved the required grade point average of 6.7 or above to become eligible for the program, an increase from 211 students in 2014 and 161 in 2013. Students who demonstrated exceptional academic achievement are rewarded with extracurricular study and professional development opportunities through awards and special projects in their academic field..
Vice-Chancellor of UNE, Professor Annabelle Duncan, said the VC’s Scholar program not only encourages students to excel academically but to also extend their learning beyond the classroom. 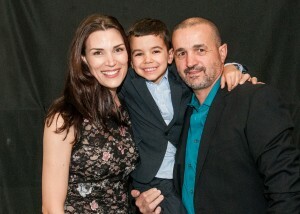 VC Scholar Jarrad Goodier travelled from Germany to attend the reception. Pictured here with Vice-Chancellor Prof Annabelle Duncan. “The VC’s Scholars Program and its awards enable our students to participate in national and international academic activities,” Prof Duncan said. “Since its inception in 2013 our undergraduate students have attend conferences and academic workshops on a variety of topics across the globe and participated in fieldwork in Africa and New Zealand. The program also recognises the work of academic staff, with students nominating those who have inspired them during the course of their studies. More than 50 academics were nominated and received acknowledgement at the reception.